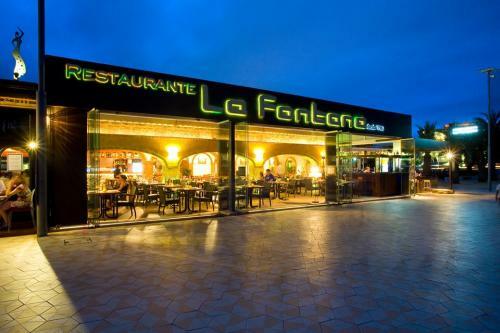 RESTAURANTE LA FONTANA is a well-established restaurant located on the popular promenade of the Arenal beach which has become renowned for its paellas and fidueas as well as a menu that is packed with local ingredients to offer a traditional Mediterrenean cuisine that is carefully prepared to satisfy all tastes. Established in 1963, its quality has been recognised and enjoyed by thousands of satisfied clients who return year after year. The comfortable venue offers an unparalleled view of the sandy beach of the Arenal in very pleasant surroundings and the separate bar area is a perfect place in which to enjoy a drink whilst watching the world pass by. The large restaurant area provides comfy dining with family and friends as well as business dinners and is available for events and special celebrations. The restaurant offers a menu that has been carefully put together to satisfy all tastes, including those of the little ones in our lives, and aims at recovering delicious dishes from traditional Valencian gastronomy that have been forgotten. There is also a daily-changing, value-for-money 'menu-de-día' which is not just a selection of dishes from the 'a la carte' menu but also offers special seasonal dishes to avoid the monotony of the same old food. 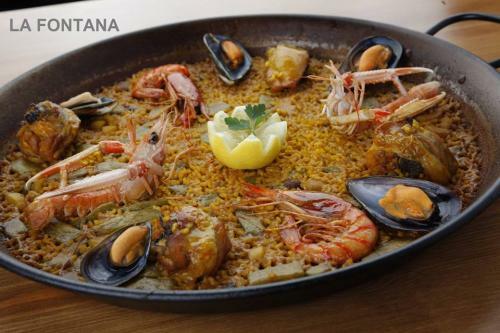 And, of course, the specialities of La Fontana are their tasty paellas and fideuàs made with local natural products and recognised as some of the best in town by thousands of customers every year. "Ha ido cambiando con los a?os pero siempre para mejor. Muy recomendable." 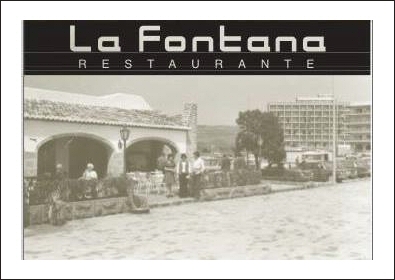 "Never had a bad meal at La Fontana. Many trul excellent." 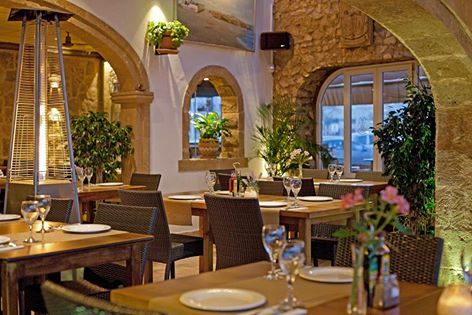 "Good food, friendly genuine staff, a proud heritage and good humour. We have visited for many years and always enjoy ourselves." "Love this place - hope to visit again when we're there in October!" "We came last year loved it so much so came back again this year. Amazing meal and fantastic service." "Fantastic food caters for all and the Staff are amazing." "We enjoyed our lunch at La Fontana. The welcome was very pleasant, and the choice of table excellent. Service as friendly and with a smile. Our lunch, mainly tapas was great, nicely cooked and very tasty. We will go again, without doubt." 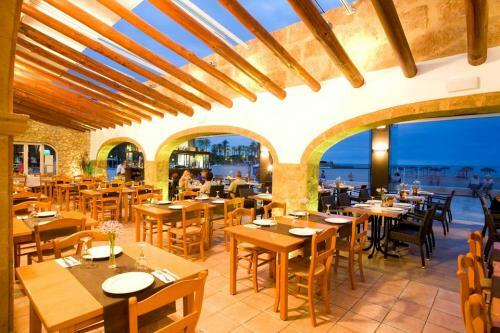 "This is a fab restaurant, lovely food, a bit more expensive that your usual menu del dia but well worth it. Staff happy and smiling and very attentive without being over the top. Will definitely go again."